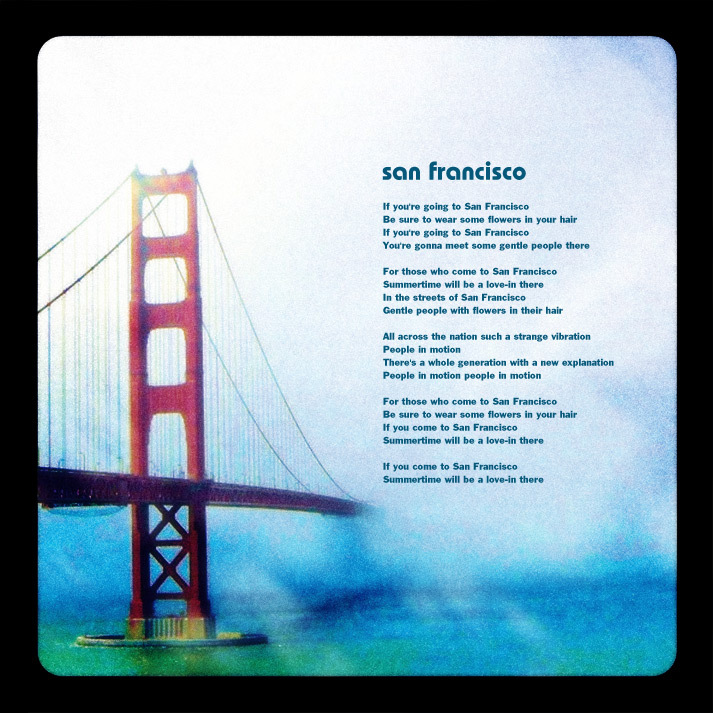 "If You're Going To San Francisco (Be Sure To Wear Some Flowers In Your Hair)"
This song cracks me up; especially the "people in motion" part. Still, there's a romantic, maudlin quality to it: one can almost picture the spiritual journey that brought people there (perhaps even brought us there). This guy still lives in San Francisco. You might have climbed over him walking through the Haight.